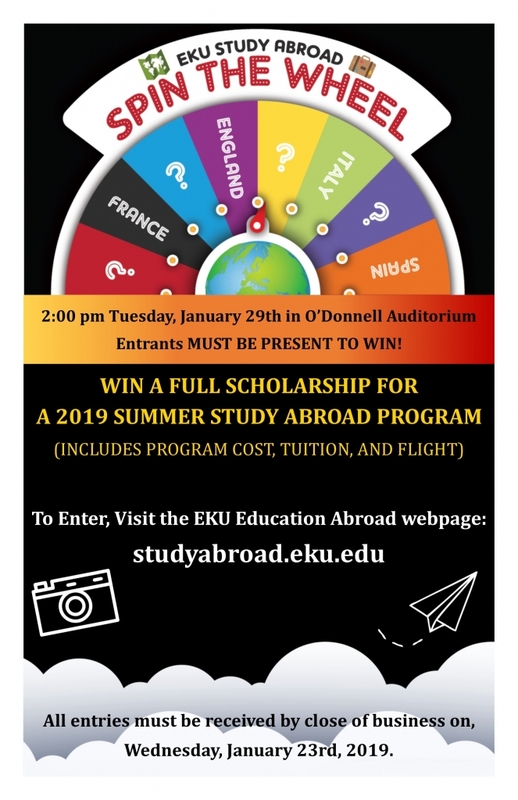 The EKU Spin-the-Wheel Scholarship Application is open for Summer 2019! Don't miss out on your chance to receive a fully funded(program cost/tuition & airfare) summer study abroad scholarship! 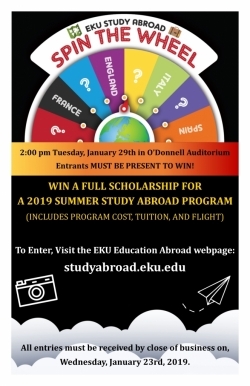 Go to the Study Abroad website for entry guidelines and to submit your application. Deadline for entry submissions is Wednesday, January 23rd. The scholarship drawing will be held on January 29, 2019 at 2:00 pm in O'Donnell Auditorium. We look forward to seeing you there!